It may just be time to retire my trusted Tangle Teezer. Respect to the TT for taming my fine, tangled tresser for the past few years, you really were a saviour! When I think of all those painful years dragging through a fine tooth comb ... ouch! BUT I’m tired of dropping it – I seem to drag it through my hair and chuck it on the floor in one fell swoop and it takes a good while to “tease” out all those tatters. 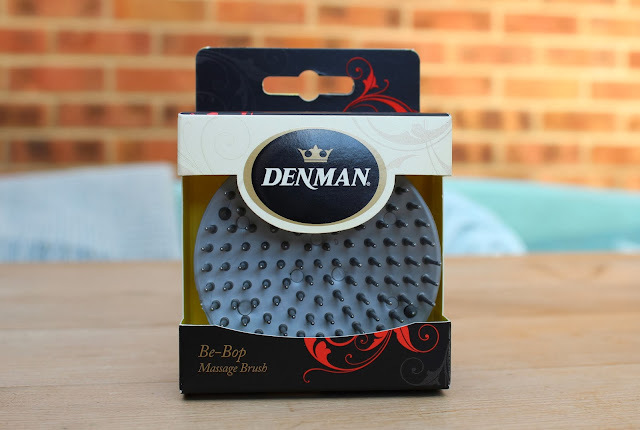 Step forward the Denman Bebop Massage Shampoo Brush. Now don’t be mislead by the name. 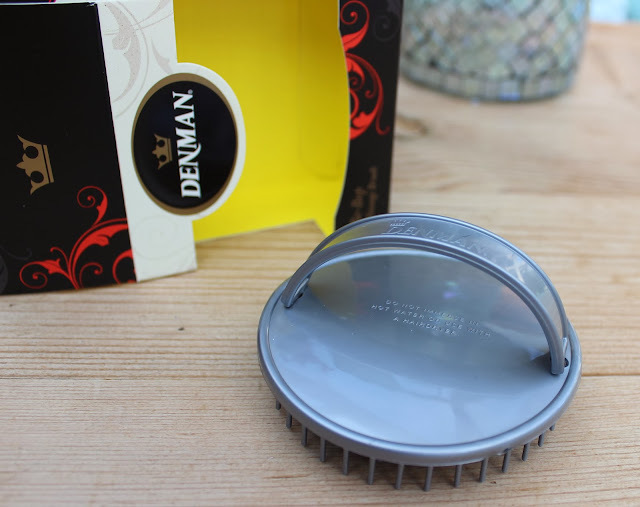 You can use it in the shower, you can massage your scalp whilst shampooing, but you don’t have to! You can just use it as a good old detangler. 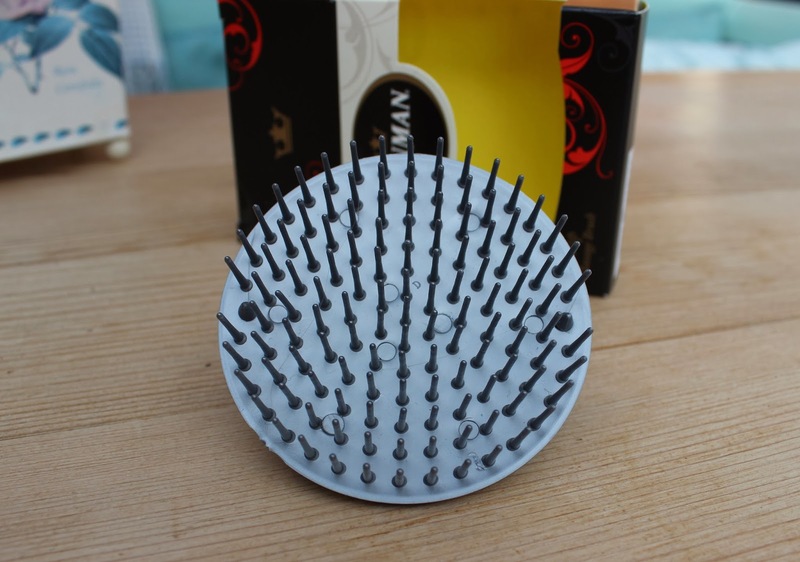 It has less bristles than the TT and they’re spaced wider apart which helps it glide through my locks with ease. There’s less dragging and pulling and the handle makes it sooooo much easier to use. The bristles are firm but gentle at the same time and get the job done in a fraction of the time. I’ve been using mine fresh out the shower before blow drying. I did try the massage technique in the bath, it was nice, and it’s good to stimulate the scalp every now and then, but massaging with this whilst shampooing results in more tangles so I’ll avoid it. And did I mention it was purse friendly - at £2.75 it’s a mere fraction of its rival! Although it may not be for everyone. 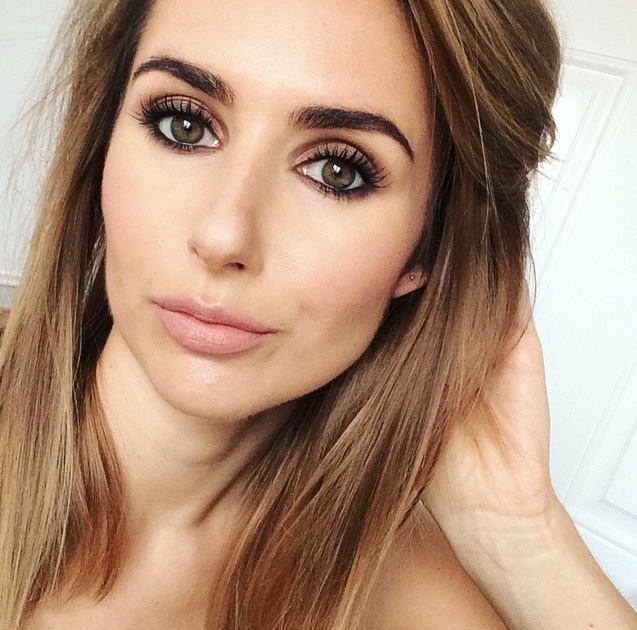 It can't tackle really small tangles and if you have very thick or wiry hair, it may not be substantial enough, but for my fine tressers it’s near perfect! I always seem to chuck my Tangle Teezer on the floor as well. My hair is quite thick so I don't know if it will work for me, but I am glad it works so well for you! Whatt? This is soo cool, definitely picking it up in Boots soon!